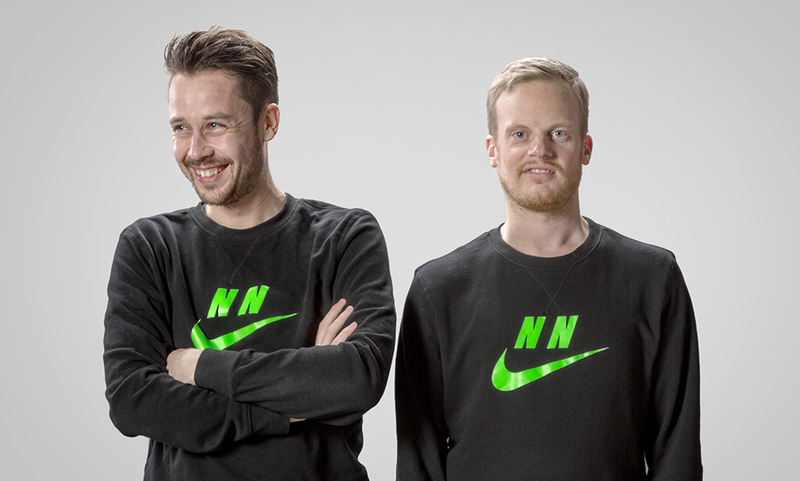 Nearest Neighbour is a graphic design studio based in ’s-Hertogenbosch (NL) founded in 2014 by Mark van den Heuvel and Guus Verschuur. The studio originated through mutual affection for typography, tactility in traditional arts & crafts and let’s not forget, hotsauce. Nearest Neighbour is currently being led by Mark van den Heuvel. We focus on a wide range of clients and media, in the public, private and cultural sector. Both large and small. No project is too abstract or off-the-wall; we like to delve deep into our own minds to create original works. We approach a new project by taking it apart to its bare essentials. Only to build it in a new way. This is often distinguished by a conceptual and typographic streak; clear, bold and straightforward. Committed to ensure that our design is executed as intended, we remain closely involved at every stage of a project’s development. We embrace the collaborative process that leads to bang-up work. Our office is housed in the Willem II Fabriek. At this moment we’re not hiring any interns. However, if you desire to discuss a (school) project or think you have a proposal we simply can’t resist, please don’t hesitate and contact us! We are always interested in exciting collaborations. We believe in sharing knowledge and experience that’s why we take part in conferences, panels and seminars, and give lectures and workshops at universities and other educational institutions around the world.